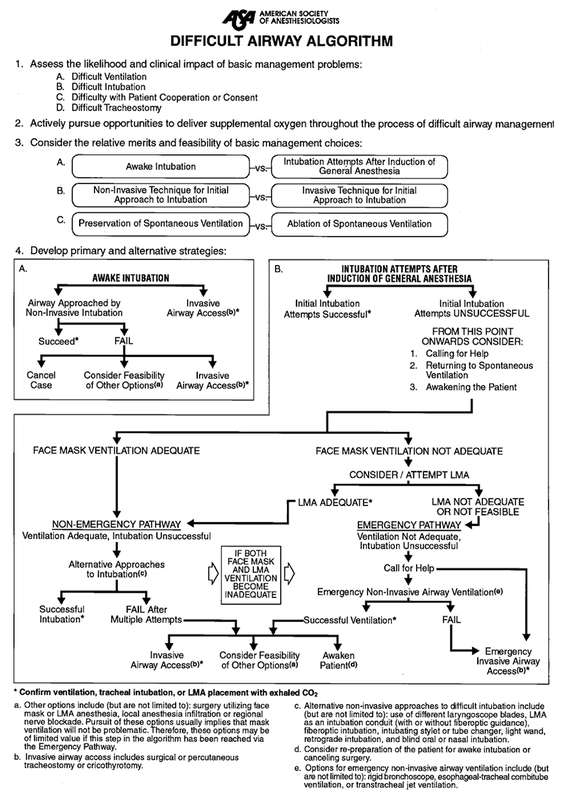 This page is steadily being populated with links to the latest airway algorithms. Feel free to suggest more! 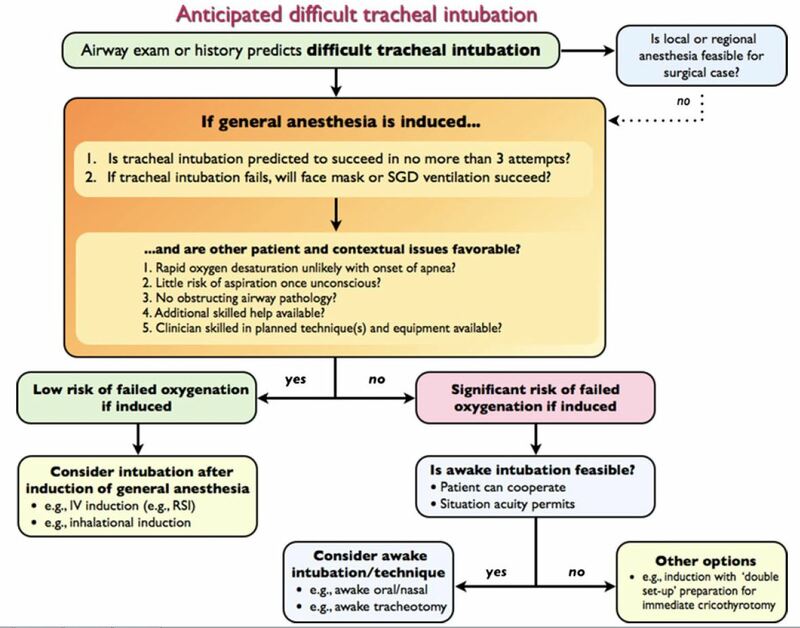 The October 2015 article in Anaesthesia discussing the new obstetric guidelines can be accessed here, as can the accompanying editorial. Some comments and thoughts from OpenAirway are here. The BJA has a guidelines page with links to other resources, such as the DAS app, which can be accessed here. The 2013 update article can be found here on PubMed or get the full article free off the Anesthesiology journal site here. Yet another cunning thing to come out of Australia and New Zealand, the Vortex approach is a high-stakes cognitive aid designed to be easily remembered and applied by any practitioner. Publications (and the diagrams reproduced above) can be found here. 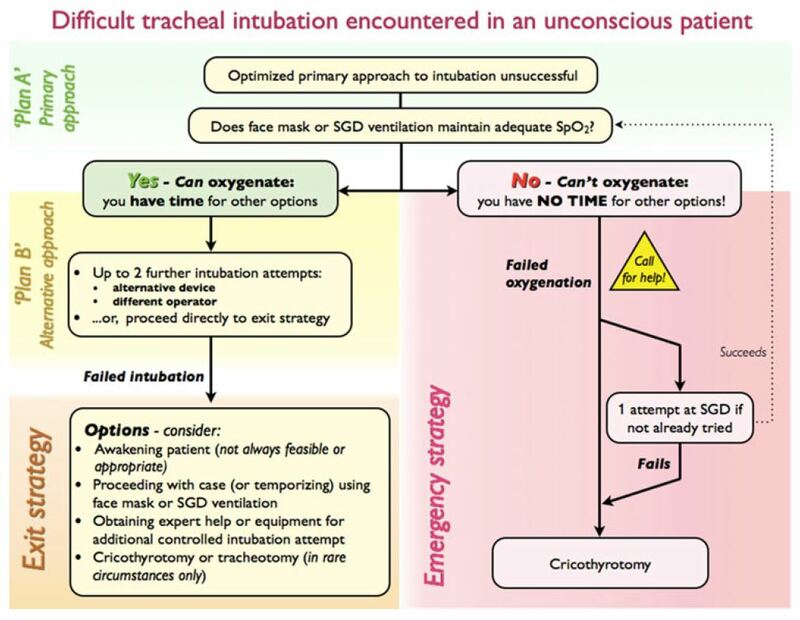 The full set of various algorithms from the RCSA (from choking and basic CPR for laypersons to advanced airway management) is available from the algorithm downloads page. 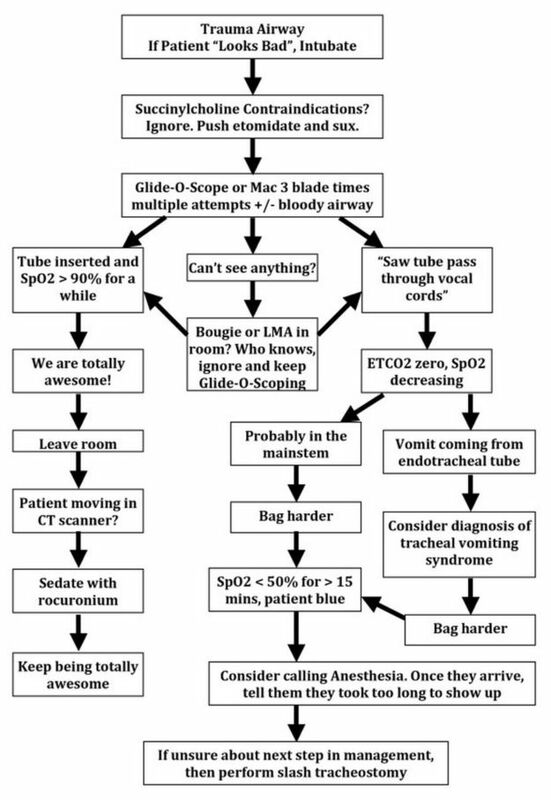 The RCSA no longer has an algorithm specific to advanced airway management.